Located in Jamalapuram, 85 Kms from Khammam town and from Vijayawada by road, is a very old Venkateswara Swamy temple. 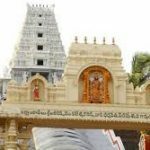 Also called Telangana Chinna Tirupati, “Swayambhoo” and “ Swayam Vyakta” this temple is believed to be over 1000 years old and visited by a large number of devotees especially every Saturday. 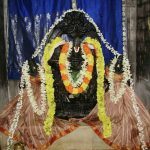 The temple is considered to be very holy and it’s believed that pujas and darshan here lead to fulfillment of desires and wishes. It is known that the place of Sri Bhaktha Ramadasu Smaraka Mandiram situated at Nelakondapalli mandal was the birthplace of Sri Kancherla Gopanna (Sri Bhaktha Ramdas) who was the then thahasildar and constructed Sri Seeta Ramachandra vari devasthanam at Bhadrachalam. Hence the villagers and idols of Lord Sri Rama, Seeta constructed a temple, sri Laxmana Swami along with Sri Bhakta Ramdas were installed and performing daily rituals. Built in 950AD by the kakatiyas, Khammam fort has a long and checkered history. It was taken over by the Qutub Shahi rulers in the year 1512 and subsequently passed into the hands of asaf jahi rulers in the 17th century. 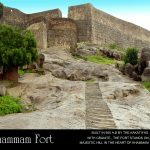 Built with granite, the fort stands majestically on a hill in the heart of Khammam town. 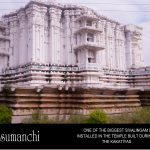 Just 20Kms from Khammam is Kusumanchi where one of the biggest Sivalingam was installed in the temple built during the Kakatiya period. A large number of devotees visit the temple during the sivarathri celebrations. Located 21 kms from Khammam, Nelakondapally is a historic site encompassed by a mud fortification wall covering nearly 100 acres. 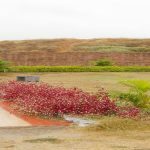 Excavations have unearthed foundations of brick built viharas, wells cisterns, a mahastupa, terracotta figurines, a bronze idol of Buddha, a miniature stupa carved in lime stone and other early historic mateirals belonging to 3rd and 4th centuries AD. According to a myth, the pandavas spent a year of Aznata vasa here after twelve years in exile, working incognito in the palace of Virata Raju, the king of Virata nagaram.